Questions? Comments? Email William Shih at wishih@usc.edu. 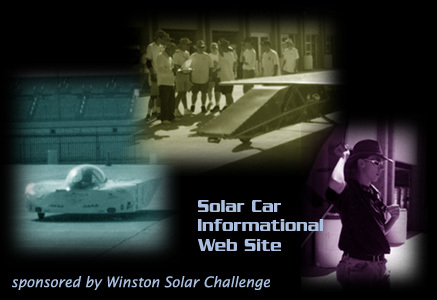 Please go to the Winston Solar Challenge site for more information. Special thanks to Michael Foree, webmaster, for hosting the site and for site development.